Malaga is a city closely linked to the film and theater, evidence of this is the Malaga Film Festival, held each year in the capital of the Costa del Sol. In Malaga we can enjoy many films subtittled in spanish and in original english version, which is an excellent way to learn Spanish. 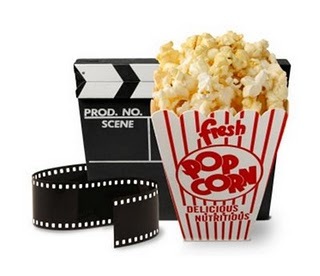 From this website you will be able not only to know where are all the cinemas of the Costa del Sol, but the latest films releases in Malaga and the original subtitled films. Please note that all films are likely to be in Spanish or dubbed into Spanish. There are no subtitles, except for films marked V.O.S.E which are 'Original Version with Subtitles.' These films will have Spanish subtitles and the original audio track in English, French or other languages, so check first. Those denoted V.O. are simply original version, no subtitles. If you want to go to the cinema and also not to spend much you can take a look at the following table of prices. The color shows the most expensive or cheapest option for the same day. Plaza Mayor and Marbella cinemas are the worst option for savers while Rosaleda is the best option every day of the week. Most of the cinemas have a session with original version with or without subtitles every day. 5€? 5€? 5€? 5€? 6€? 6€? 6€? *Prices are valid in 2019 except error. May vary slightly depending on session. *Green is the cheapest option while red is the most expensive option. *No discounts, schedules or loyalty cards have been taken into account.